Vodafone Park (a.k.a. 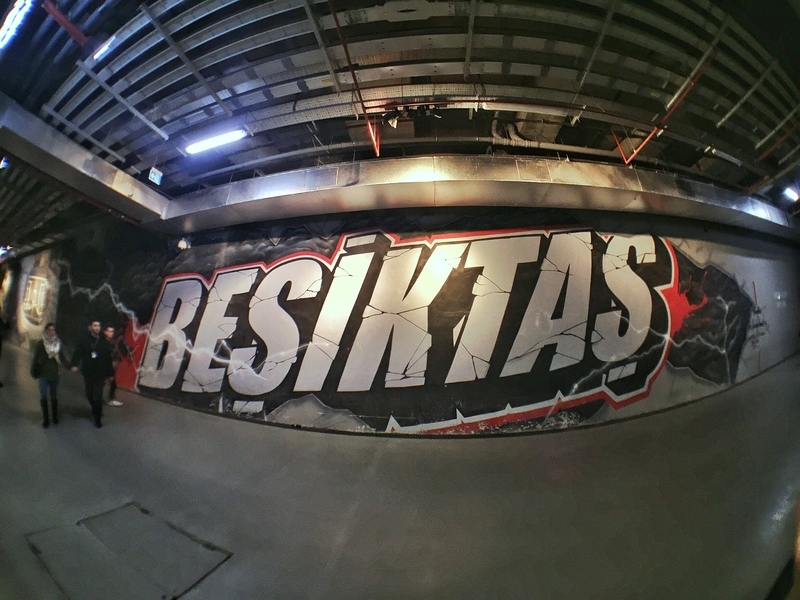 Vodafone Arena) is home to Besiktas JK, one of the big three clubs in Istanbul. The stadium opened in April 2016 after they demolished former home, BJK İnönü Stadium, in mid-2013. 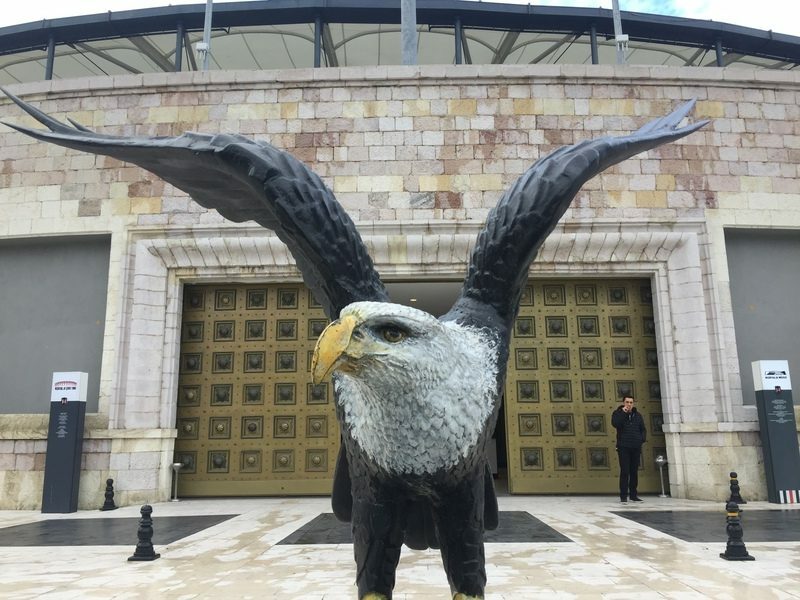 The following is a review of the Vodafone Park stadium tour and Besiktas JK Museum. What does the JK stand for? Gym Club. Translated from Turkish, Jimnasti Kulüp. This confused me for so long, so thought I would get that issue out of the way. I didn’t realise there was the option of the stadium tour before I arrived (it’s the first stadium tour in Turkey), but for an extra 10 TL to do both, it’s a no-brainer. There are currently no stadium tours in English, so unless you have someone translating, you don’t get all the juicy info behind the energy friendly stadium. In 2016 the stadium was voted #1 by the public, and #2 by a jury as the best new stadium worldwide on StadiumDB.com. It’s cool they went with the circle shape too, rather than the regular rectangle used now. There’s a reason for that though. Given the stadium’s location by the Bosphorus, surrounded by roads, and Dolmabahce Palace close by, getting the right design proved tough. They restarted plans from scratch several times to meet Government requirements. For example, Eski Açık stand and its towers couldn’t be demolished as they’re historical monuments. They also had to consider the surrounding area as the stadium needed to fit into the landscape. You can read about it in more detail on Wikipedia, but I’d love to have gotten to know more from the tour guide. So many questions! What I did like about the tour was the interactive parts. There was a green screen area available for photos we stopped at. Most of the kids got on board, with their idols being displayed on the picture printed for collection post tour. They could make this an option you choose before the tour starts as it did feel like we wasted some time here. The other interaction was in the media room. Laughs were had when a guest pretended to be a Besiktas player and the rest of the group asking him questions. This did seem fun, but again, non-Turkish speaker left me confused. often you’re scrambling to get a photo without others in the background. 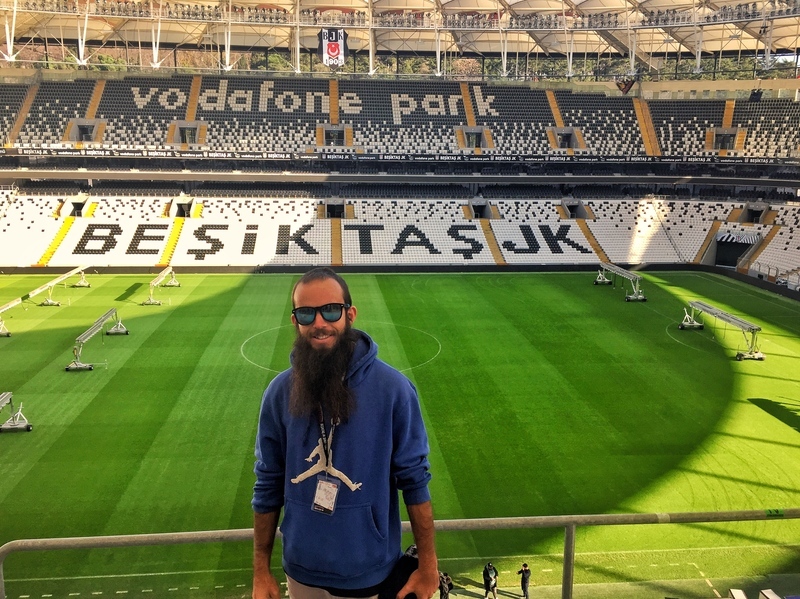 If you are going for the tour, I wouldn’t unless you are super passionate about Besiktas JK, stadium tours, or love architecture. The lack of English English takes away the magic. If you’re going to the Museum as well, you may as well do both. 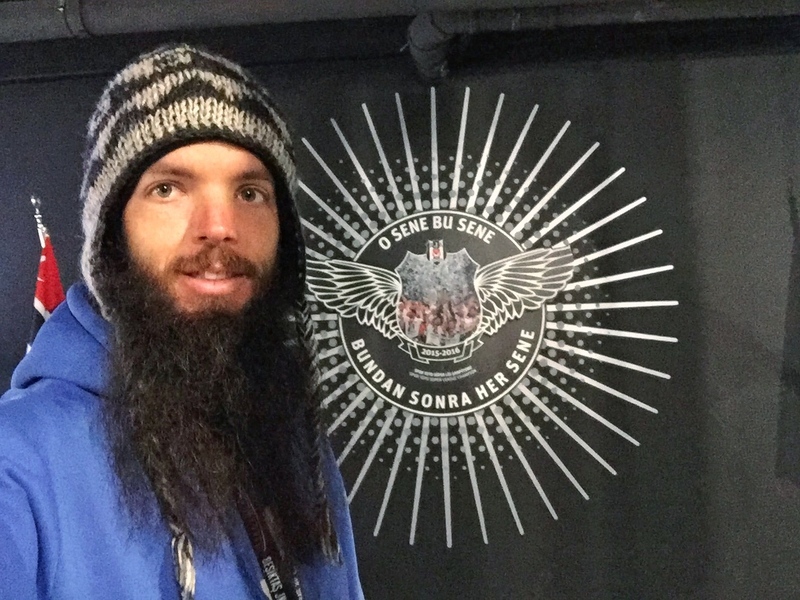 The Besiktas Museum was awesome! Yay for information boards in Turkish and English. 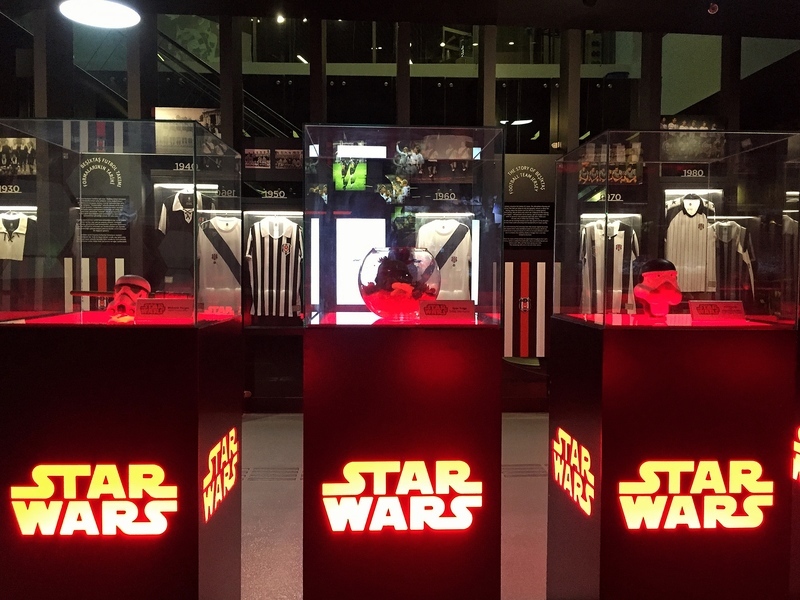 In addition there were lots of artifacts, trophies, photos, and some unique interactive activities. These were the instant standout as I think back to my museum visit. I ended up there longer than 45 minutes (my self imposed museum time limit) as I didn’t realise there was a second floor! 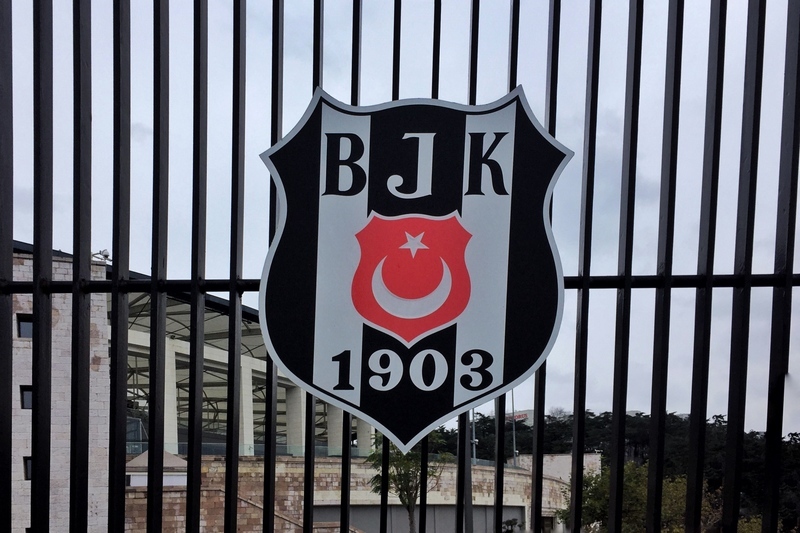 The Karaoke Room: Football fans love their chants, and in the (mostly) soundproofed room you can grab a microphone and sing along to the Besiktas chants karaoke style. I wasn’t singing but saw a couple happy as lads belting out the sounds before midday. Impressive. The Crowd Noise: The Besiktas fans are famous for their noise levels, whistles piercing through the air. They’re so loud that Leipzig’s Timo Werner asked to be sustituted in September, he couldn’t handle the noise. That’s not something you do unless you really are struggling. The noise room replicates noise levels when you press a button, increasing up to 162 decibels. Honestly, when I tried it, I thought it’d be louder, but never the less it was fun and something different (probably not advisable for children). 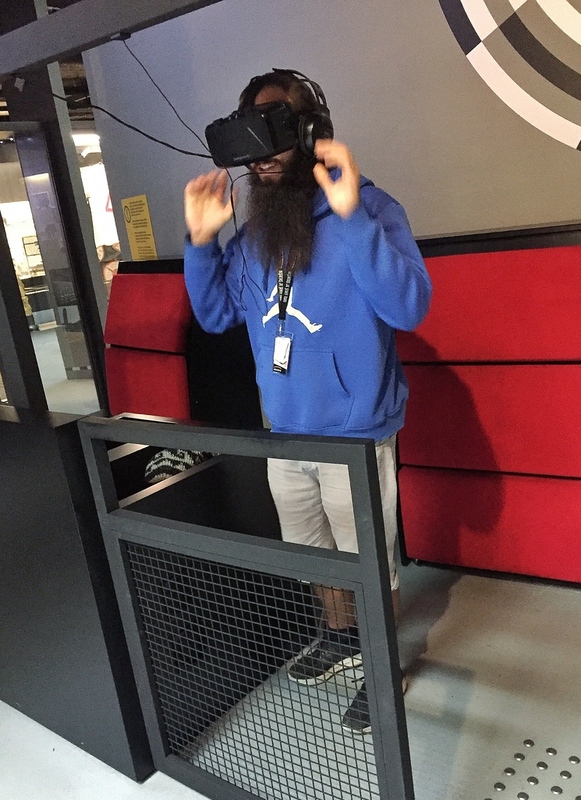 Virtual Reality: I’d never tried VR before! I knew what to expect as I’d watch a couple before me on the big screen. 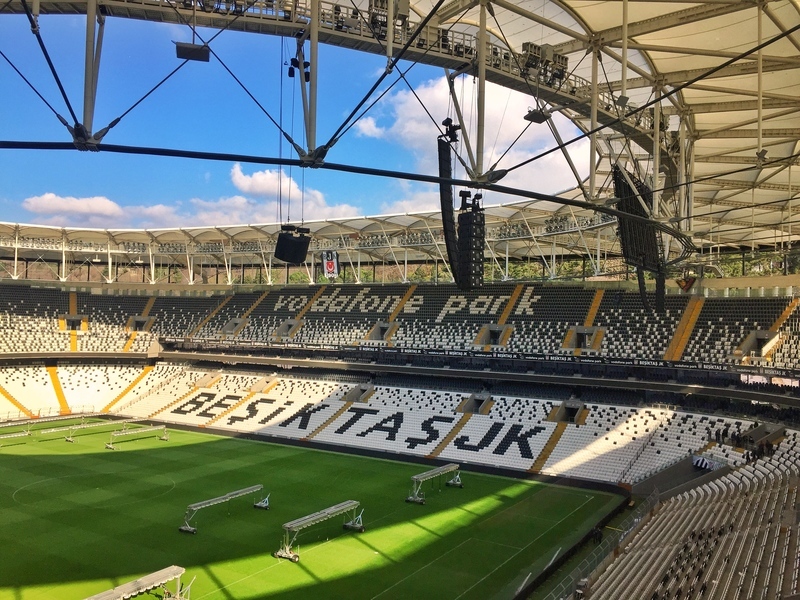 When you pop on the headset, you’re in the front seat of a roller coaster inside Vodafone Park. Very clever! I’ve got no idea how long you are on the roller coaster for but there were a couple of moments where I was moving around as you do on a roller coaster. Virtual reality rocks! A lot of photos, trophies, and random memorablia. 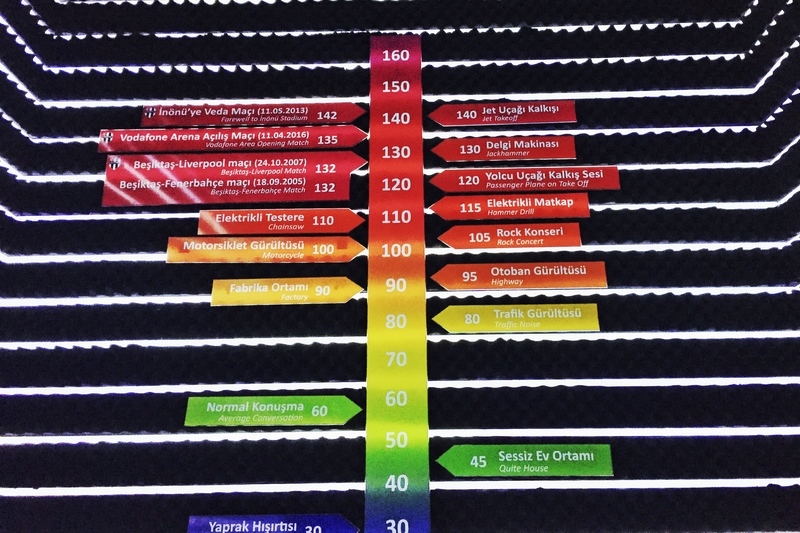 This is not only the largest but I would say the best sports museum in Turkey. definitely out of the three big football team museums. 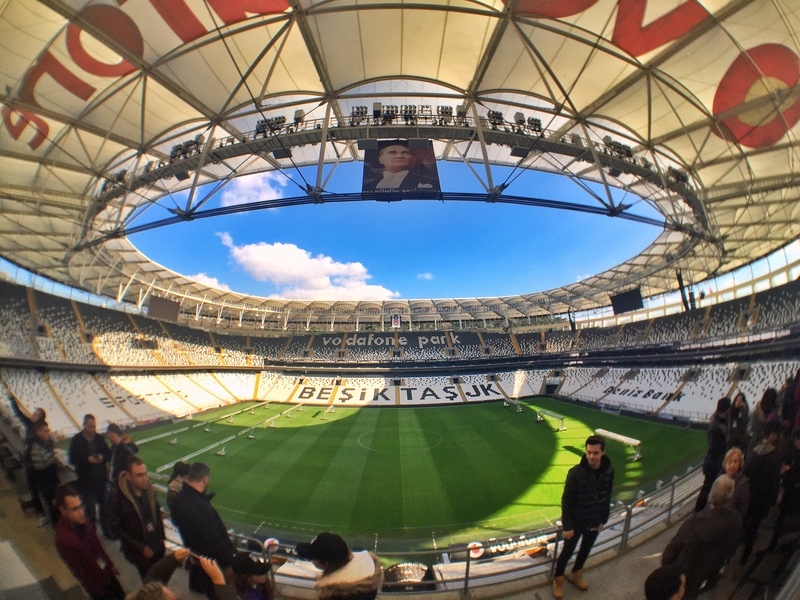 What Are The Vodafone Park Stadium Tour & Museum Prices? 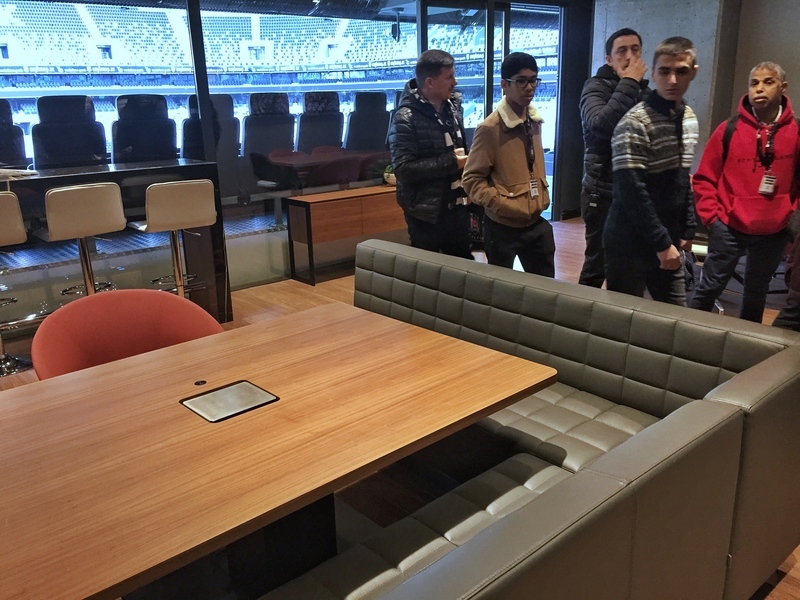 *** The stadium tour is not available on match days, religious holidays, and Jan 1st. The museum is not open on from religious holidays, Jan 1st and closes two hours before the stadium opens to fans on match days. 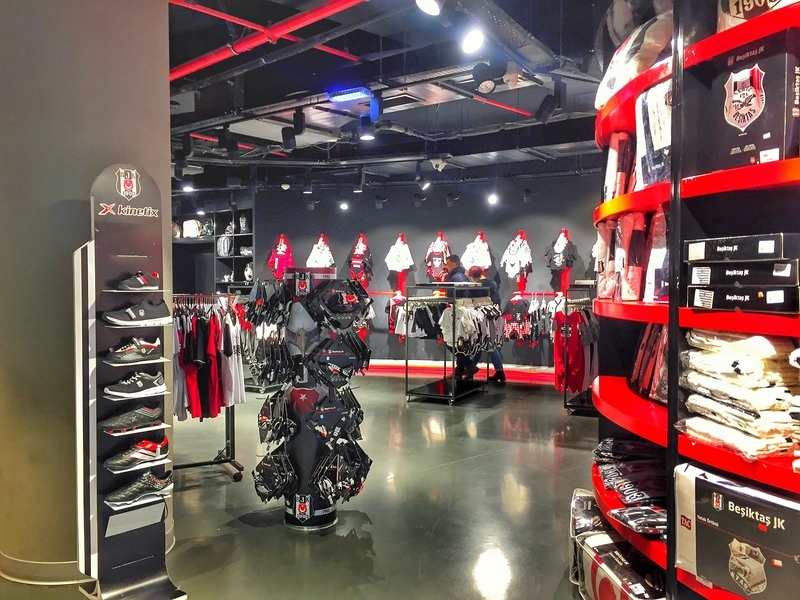 How To Get To Vodafone Arena? The stadium is fair central by Istanbul standards. From the Old Town, you could walk or catch the T1 tram to Kabatas and make the 5-minute walk. From the Asian side of the city, take a ferry to Kabatas and make the 5-minute walk from there. From Taksim or Besiktas walk. Grab a bite to eat, wander the side streets, enjoy Macka Park, and before you know it, you’ll be at the stadium. 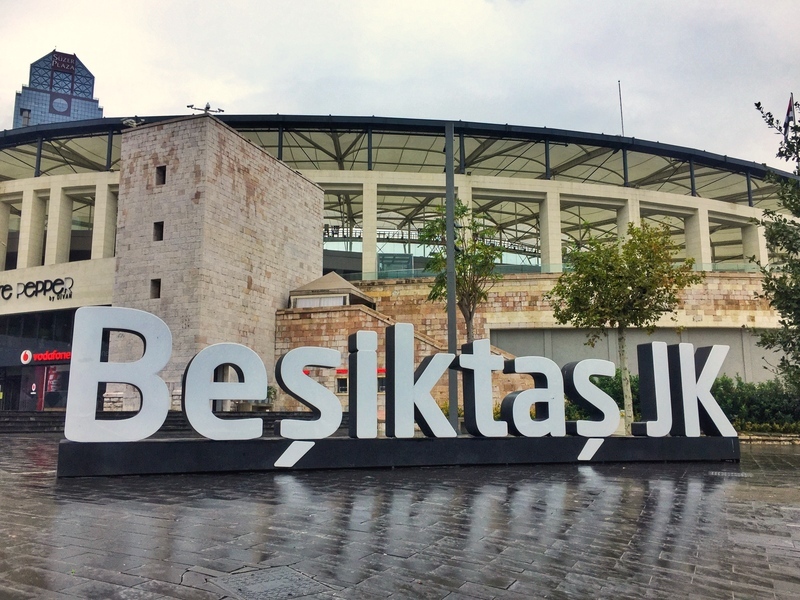 Besiktas is a very well known football club and no doubt, its home ground Vodafone Park is very beautiful.I haven’t been to their but one day I’ll visit. Thanks for the comment. Who do you support? If you go to Turkey, definitely make an effort to watch Besiktas play! Is all this avalanche early in thr morning when there is an away game ?